A date night invitation is a charming and romantic way to ask your significant other out for a special evening. Whether it is a first date or you are looking for a way to change your normal couple's date night routine, a creative and well written date night invitation demonstrates that you care and want the night to be special. Invest in attractive and quality stationery to give the invitation class and a touch of elegance. A formal invitation takes your normal date night to a new level. Type or write the purpose of the invitation. For example, if you are asking someone out for a quiet dinner and a movie, make that clear. Start the invitation with "It will be my pleasure to have you join me this Friday for a romantic evening of dining and film." Provide the date and time of the date night. Include the day of the week, so there is no confusion. The standard format for date and time is: day of the week, the month, the date, and year, followed by the time. Add the address and name of the venue or event location. If you want to keep it a surprise, provide information about dress codes or appropriate attire for the event. If you are doing a sport together, it is best to let your date know in advance so she comes prepared. If you are planning to meet your partner at the date location, include directions and an exact address or meeting place. A phone number for the location can also be helpful if your date has difficulty finding the location. Proofread your invitation to make sure you presented the information in a logical sequence and that there are no spelling errors. Include an R.S.V.P. date on the invitation and your contact information. 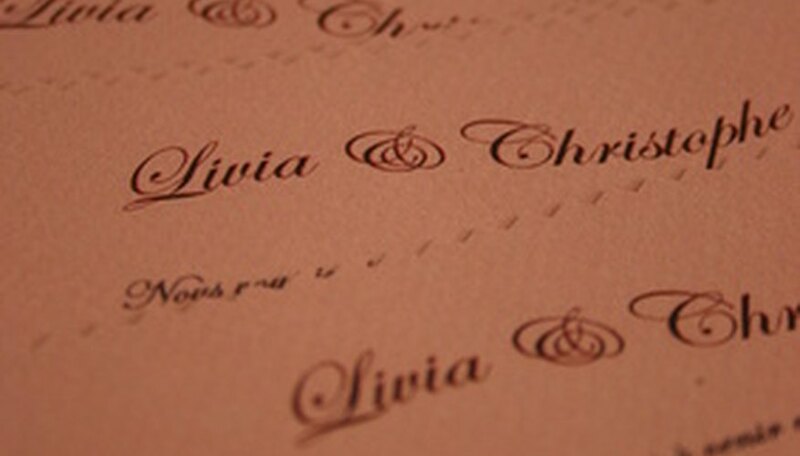 Decorate the card or stationary of the invitation as a simple way of personalizing the invitation. Add a sprinkling of your favorite cologne or perfume to the invitation for an extra degree of romance. You can send the invitation in an envelope or attach it to a small gift such as flowers or a small box of candy. Johnson, Charlie. "How to Word a Date Night Invite." Dating Tips - Match.com, https://datingtips.match.com/word-date-night-invite-13139033.html. Accessed 20 April 2019.